Wine Tours are fantastic for corporate, work and office Christmas parties. They get you out of the hustle and bustle of the city and into some of Australia’s most beautiful countryside while tantalising your tastebuds with amazing combinations of wine and food. Leave the office behind, relax and let go with your work mates as you are picked up and chauffeured to your favourite wineries for tastings and treated to a scrumptious lunch. Whatever your budget or number of staff, there are wine tours to suits all tastes. Go for a luxury tour in limousines or hop on a mini bus and spend the extra cash on wine and silly Christmas gifts. 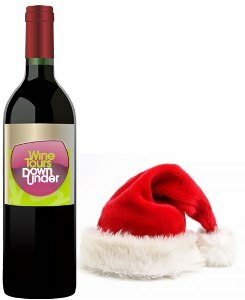 The wine tour operators on our site can cater for just about anything you want to do during your office Christmas party. Get out there for the whole day or just an afternoon. If the staff have been good all year, you can even treat them to a whole weekend away. Just pick you’re state and region, enter the number of people and you're on your way. Find an office Christmas party wine tour here. Office Christmas Party Wine Tours really are the perfect way for staff to relax after the years fruitful labours and strengthen team relationships for the next year.